Some fine theories here... I agree with Chrisss that the plot is somewhat unoriginal, and I found that disturbing as well. Especially as Episode VI: Return of The Jedi also had this scenario of the common resistant fighters having to destroy a huge dangerous planet-like weapon while the people with the Force are battling in person, this was almost the 3rd movie (form only 7!) that had a very similar plot. But the big crowd seems to like, so I think J.J. Abrams' philosophy might've been "never change a winning team". Most seem to agree, but I didn't really. I agree with Chrisss as well that the villain is more complicated and as a anti-non-hero (don't know how else to say it) quite original and in fact more realistic. But I didn't enjoy it too much because, like Maya, I dislike the actor. That's unfortunately a fact I cannot seem to get over. That Rey seems quite capable of wielding the force was bothering me too actually. This happened before with the previous trilogy IMO (although I have to say I was a fan of the prequels in general). In the episode IV - VI you see how Luke gets to know the Force and becomes a Jedi through some quick, short, rudimental training moments. That makes him able to compete with Darth Vader. In Episode I - III however, we see that Jedi trainings take more than a decade, with very intensive trainings. For me this totally undermined the credibility of Luke's training in the older movies, where Luke needed only months before he could match Dart Vader, who had at least a decade Jedi training as Anakin Skywalker. And now they seem to have flipped it again, though Anakin could do many spectacular things as a child too (predict the future, "sense" things, guess which pictures the Jedi Counsel was not showing him,...). Nevertheless, it seemed she picked up some Jedi things too quickly IMO. Although this was quite critical, I did like many parts of the movie. I always liked Han Solo and the humour and rough edge he gave to the movies. That returned quite succesfully, so that worked out well. And overall I do like the main characters. Rey's past also intrigues me, though I somehow hope she's not yet another fledgling of the already complicated Skywalker clan. George Lucas is not too impressed with the new instalment. ^If the prequels were any good, I might not desmiss his opinion. I actually really liked "Revenge of the Sith"(apart from some acting and dialouge), and overall I don't dislike the prequals that much. I think one thing about George Lucas that many seem to forget, is that he technically only directed 6 major movies in his career. 4 of them being "Star Wars" movies (the prequels + "A New Hope"). 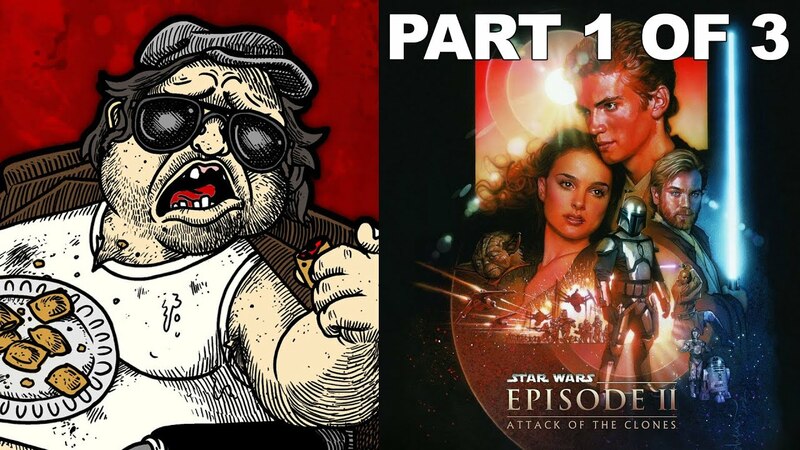 In that aspect, I have a theory that the weaknesses that can be found in both "Phantom Menace" and "Attack of the Clones" mostly come from the fact that Lucas had been away from the director's chair in over 22 years. In addition he chose to keep things difficult for himself by both writing and directing, while also using a lot of CGI (which was still very new at the time). That being said, he critized "The Force Awakens" for being "too retro". On that point, I have to agree with him. However, he did afterwards apologize for some of the comments he made. I can't blame him for having opinions, but then again many "Star Wars"-fans don't really think his opinion holds up since "The Force Awakens" was both a bigger financial and critical success than any of the prequels. I have a theory that the weaknesses that can be found in both "Phantom Menace" and "Attack of the Clones" mostly come from the fact that Lucas had been away from the director's chair in over 22 years. Perhaps, but he was never a good director anyway. Sure, he directed the original Star Wars, but it is known now that he never coached the actors. It was one of the producers that stepped in to do that job. He does not know or care about the actors, he is all about pushing the visual effects. ^I did like the prequels but more because of the great actors (Neeson, McGregor, Portman, Jackson, Lee, McDiarmid) and some very cool fighting scenes (with Dooku, Grievous, Darth Maul, the arena fight in Attack of the Clones) and the overall strong plot, great effects and theme music. I was indeed bothered by some CGI (just use the Yoda-doll people!) and some very poor acting skills (Hayden Christensen) or characters (Jar Jar Binks). But I can't say I didn't enjoy those movies. But I agree with Chrisss that Lucas might've simply lost it a bit. Even those who hate the prequels will not deny that there's at least a spark, at least a lot of potential in those movies. For me it mostly worked out well, but I think the 'Old Lucas' might've been able to make even more out of it. He did a good job with the prequels, but not a great job IMO. Last edited by Snake; 01-03-2016, 02:14 AM. Despite the fact that I defend the prequels mostly (especially "Revenge of the Sith"), I have always LOVED the fan reactions. The thing is "Star Wars" fans are often so passionate, that whenever they attack or defend something, it's often in a quite dramatic manner. Doug Walker (aka. "The Nostalgia Critic") said that the most entertaining thing about "The Phantom Menace" was the way people reacted to it. The bashing or the defending was always taking VERY seriously by both sides. 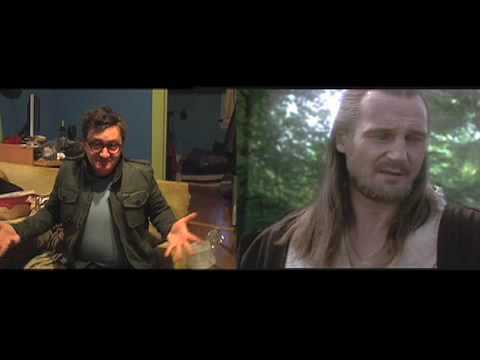 When it comes to the legendary RedLetterMedia reviews from Mr Plinkett, I think I have seen them all actually. You can't even call these videos "reviews" anymore. They are more like "minute-for-minute"-dissections of the prequels. I love these videos, but they are just not THAT rewatchable since they are al most as long as the movies themselves. I have seen the "Revenge of the Sith"-review once or twice though. I can find it entertaining, even when I in the end still disagree with most of it and enjoy the movies. Last edited by Chrisss Nofff; 01-04-2016, 06:56 PM. ^I didn't like the fan reactions at all. Especially not Plinkett's who gives arguments by showing elements form other movies, while I could immediately give several arguments for the opposite. And sometimes he doesn't even give arguments at all for his opinions, or says things that I even consider entierly wrong (like saying Obi-Wan and Qui-Gon don't really care about their mission? Why the hell would you say think that? I see nothing that implies that!). But this is just me. I really don't like negativity, in the way that I can only justify it if the arguments are legit. Otherwise it's just hateful nonsensical bashing, destroying for the sake of destroying, not to mention the Rammstein-haters who circum-jerk each other of without caring to tell why. I haven't watched all Star Wars episodes but this Force Awakens has a great action so far and a good film. I grew up with this movie but I was never really a fan. ^You must have grown up really fast, since this movie came out less than 8 mounths ago. MarryAcatS, did you enjoy the movie or not?